Last week we discussed how few converts to Christ have gone on to become disciples. 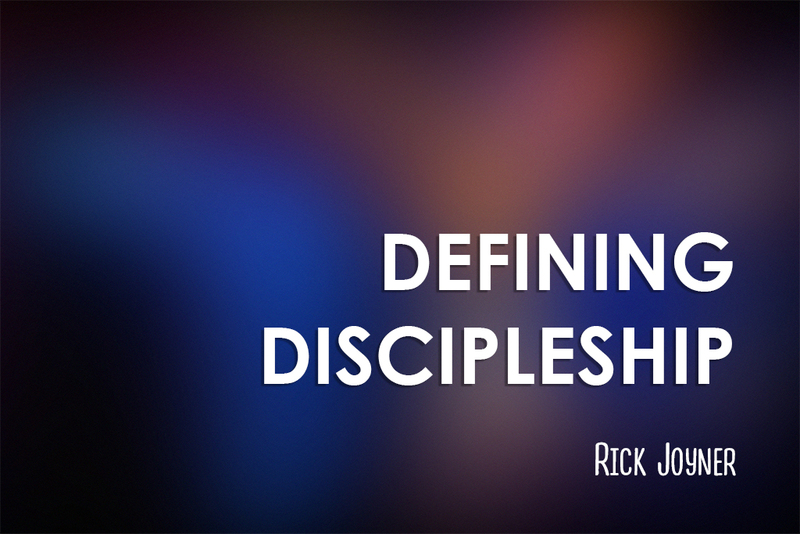 So what does it mean to be a disciple? A true disciple will seek to know how the Master Himself defines a disciple. Therefore, we will look at a few verses where the Lord gives us a definition. “For whoever desires to save his life will lose it, but whoever loses his life for My sake will find it” (Matthew 16:24-25). A disciple lives a life of sacrifice, not pursuing our own desires, but denying them to take up our cross to follow Him who “emptied Himself” of His divine nature to save us. Is our first response to seek our own desires or to deny ourselves for the sake of the Lord and His purposes? As He explains here, to live for ourselves is the path to losing our lives. Even the highest earthly goals bring only fleeting satisfaction and then emptiness. We were created for God’s pleasure. Only a life devoted to this will ever fulfill us. To live the life of sacrifice we are called to is the path to the most fulfilling life of all. Which of these devotions guides our daily lives? Do we wake up and immediately think about what we want to do to bring ourselves pleasure, or do we think of what we can do to bring Him pleasure? How did gathering manna test them to see if they would walk in the ways of the Lord? The test was: Would they get up, and first thing every day gather the fresh bread from heaven? The same may be the primary test that proves if we are a true disciple or not—Jesus is the Manna from heaven. Do we seek Him first thing every day? If not, then it is unlikely that He is truly our first love, and it is unlikely that we will abide in Him that day. “A new commandment I give to you, that you love one another; as I have loved you, that you also love one another. By this all will know that you are My disciples, if you have love for one another”(John 13:34-35). Brother Lawrence said, “He is not so impressed with the dimensions of our works as He is the love with which it is done.” As we are told in I Corinthians 13, we can have faith to move mountains, know all mysteries, and even give our bodies to be burned, but if we do not have love, it all counts for nothing. Do we love Him above all things? Are we growing in our love for one another? Next week we will look at a few more of these biblical definitions of a disciple.